It's so pretty Kelly! Thanks for the tips. Funny how we are all so different. I love spray basting only. It's what works best for me lol. Such a pretty quilt, and great pictures. You're lucky, here the winter has returned. Thank you for this well-written and informative post! I'm a "steamer" when it comes to pressing so that's especially helpful! 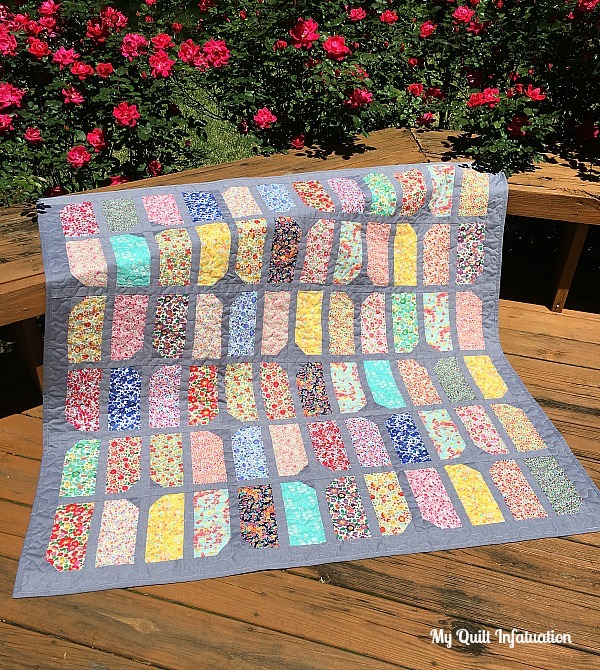 Beautiful fabric and a great quilt to showcase them. So helpful, as I have been tempted by those Liberty prints many times. The quilt turned out great, too. Kelly, you amaze me. 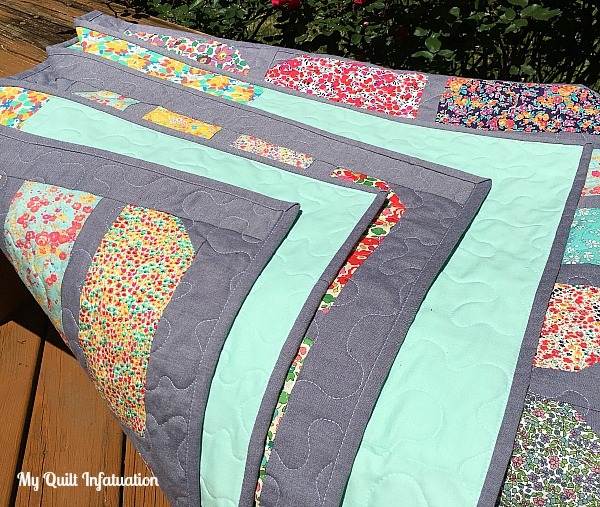 I don't know how you make so many gorgeous quilts and I haven't seen a single one I don't like! Beautiful quilt! Thanks for the sewing tips. Your quilt is wonderful! I can't think of anything you have made that I didn't like. I have been wondering about the basting question! Very curious as to what the percentage of pinners versus sprayers is. Kelly, I haven't properly introduced myself but you are one of the reasons I got back into quilting and actually started a blog of my own. Your work is amazing and inspiring. Thank you! OH....my...goodness. I must say that I am not typically a fan of tiny florals, reminds me of grandmother's sheets or something, but this....this is astounding! Beautifully done! Those fabrics are gorgeous! Congrats on a lovely finish. So pretty as usual! I'm going to have to try that pattern out. It's so beautiful! Thanks for sharing the tips, that's very good to know. 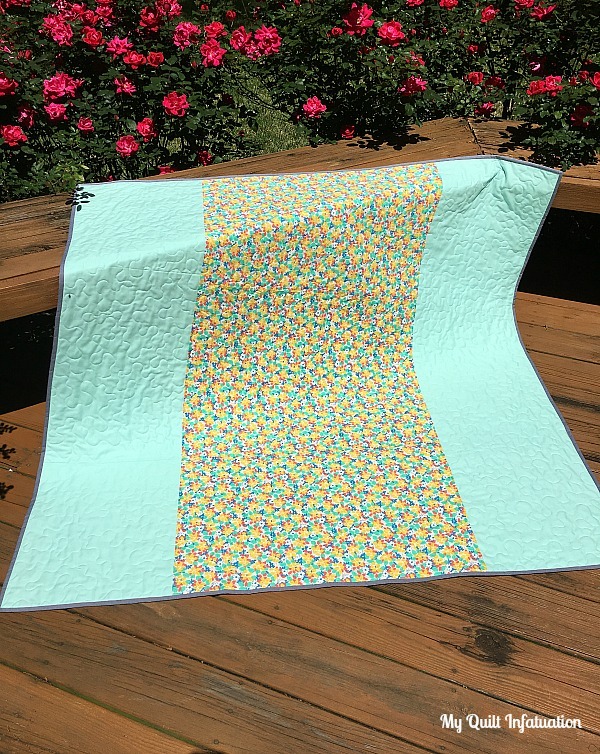 Quicker quilting projects like this one can be really satisfying, especially when they highlight beautiful fabrics like the ones you choose. Very pretty.